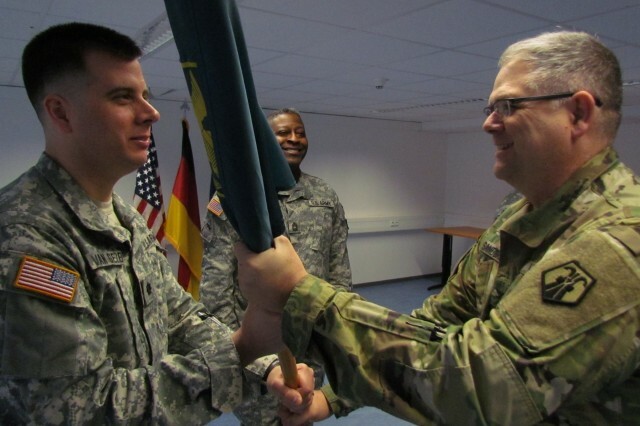 GRAFENWOEHR, Germany - An Army Reserve detachment that teaches Intermediate Level Education to officers has a new leader. 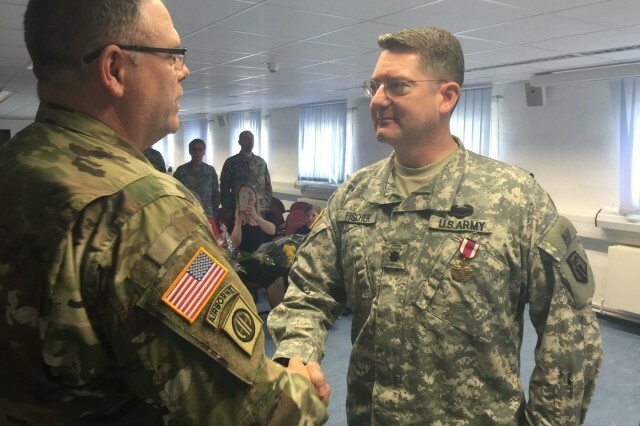 Lt. Col. Edward W. Van Giezen took command of 7th Intermediate Level Education Detachment from the outgoing Commander, Lt. Col. Joel D. Fischer Saturday at the unit's headquarters. "The detachment is an amalgamation of many branches and specialties - both from military and civilian lives - brought together," Fischer said. "Our personnel live at addresses from California to Bahrain. When needed, we form the teams necessary to accomplish our mission." 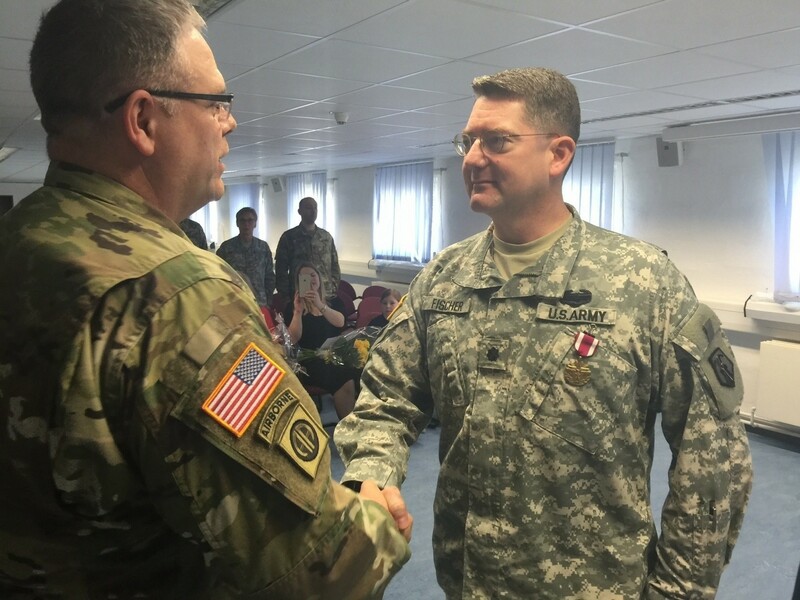 The unit's mission is to educate mid-career officers, he said. "It's where we help them put things into perspective, to shape the influence they have on formations they lead and to be productive when serving as part of larger organizations." 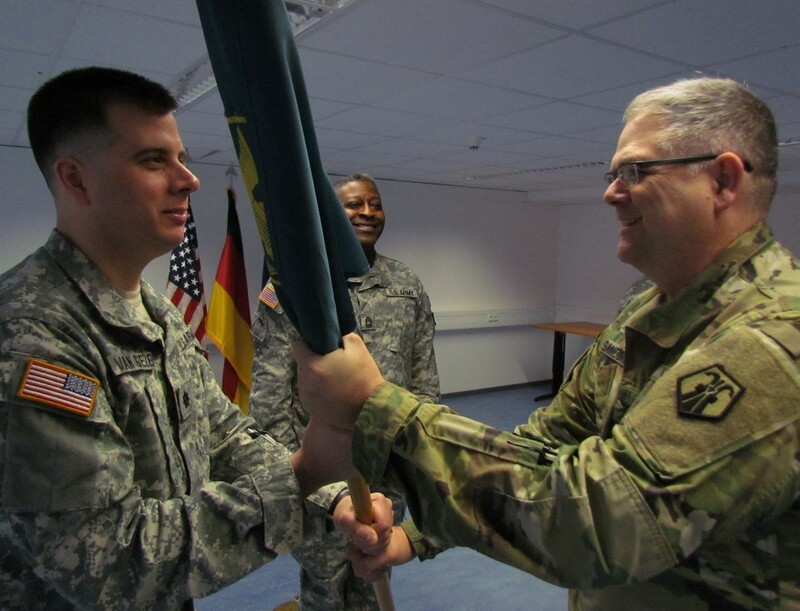 Col. Kevin M. Sanders, the deputy commanding officer of the 7th ILE's headquarters, the 7th Mission Support Command, presided over the ceremony.